Now That the Election Is Over, What's Different About Our Lives? On the evening of the 2018 midterm elections, we all sat glued to our televisions or to online webpages (or in front of whatever your weapon of mass distraction choice may be), breathlessly awaiting the outcomes. Would the elections result in a repudiation of President Donald Trump's performance, or would they be a confirmation that he is moving the country in the right direction? Would African-Americans, Latinos or women win the day with a progressive mandate? Or would the choices we made cement "Make America Great Again" as today's ruling paradigm? Americans stood in long lines around the country, wrote in or got bussed in from parts remote and rural. The talking heads on the screen nearly exploded with consternation or joy or anger — or solemn auguries of impending doom. Of course, we, as the American people, dutifully played along. Our hearts collectively rose or sank, our fingers wagged or our heads shook with disapproval. We raged against the voting machines. But by Wednesday morning, the party was over, and the hangover began to skin in. We dragged ourselves out of bed, put on the pot of coffee and rushed off to the same jobs we had on Tuesday morning. The bills remained piled up on the table as we stared blankly and continued our usual scurrying with the same passive exhortation: Pay me! Our spouses, children and neighbors all looked oddly the same as they did the day before. Given all of the emotion we had expended while arguing the finer points of the voting process, the political advertisements and the tawdry lies and hyperbole barked by politicians over megaphones, our lives still looked more or less the same. What did it all mean? Did we really get what we wanted? Does the role of government play such a critical role in our everyday lives that it was worth all of the nail biting, arguing and fretting? Did the very act of filling out all those ballots serve to expiate the angst we felt? Or is it still there? Is the government performing noticeably better or worse since Tuesday? Perhaps the better question to ask is this: Is the government performing noticeably better now than it was eight years ago, when another president faced another midterm election cycle? These questions are pointed and direct. The answers probably a bit less so. It is as if we dedicated so much focus and energy to this most basic of civic duties — voting for leaders and issues that would govern our political life — that we have forgotten about the other 99 percent of our lives that have absolutely nothing to do with politics. Today, we are not noticeably more fair, magnanimous, honest or brave than we were a week ago. The traffic on the way to work in the morning is just as irritating, the coffee just as strong or weak, our lives just as fraught with triumphs and failures of our own making. In all of the hubbub around external events over which we, as individuals, have very little control, did we lose sight of what really determines the outcomes of our lives? On Wednesday morning, we still had to get up and go to work for a better life for ourselves and our families. We still had to face the everyday kindnesses of strangers and the subtle cruelties of those closest to us. We still had to face the immutable challenges of human frailty, with which we are both blessed and cursed. On Wednesday morning, when the dust settled, there we were in the mirror, still facing our imperfect selves and still burdened with the challenge of living up to our better selves. There were mass murders in churches several years ago in South Carolina, long before Trump became president. Despite what the mainstream rhetoric would lead you to believe, racism didn't suddenly materialize the day Donald Trump was elected. There were crazies out there targeting churches and synagogues long before #MAGA happened. There were school shootings, natural disasters, wars and famines. Cruel foreign despots have killed their subjects with impunity as far back as recorded civilization goes. Saints have saved sinners and battled temptations since time immemorial. It has never been a matter of if evil would strike, but when. Given that all of these things have happened repeatedly throughout history, our tendency is to read the tea leaves through the lens of human tragedy merely because they happened to take place on this president's watch — or within days of a hotly contested election. Honestly, it seems a bit strange. If there is a tone of hostility, it is because we as a collective consciousness have created it. We should not be placing the responsibility of our happiness, our joy, our kindness or our unabashed hatreds and petty prejudices at the altar of politics. We face ourselves and our families and our neighbors every day. Regardless of what may happen at the ballot box or in Congress or in the governor's mansion, we still have to deal with each other on a basic human level. We face these issues amongst ourselves, unmediated, for the most part, by the political stir that goes on around us. Just because we may or may not like a certain political figure does not let us off the hook for the world we are co-creating. For it is not in our stars (even our reality stars turned politicians) but in ourselves that we are either valiant knights or duplicitous knaves. 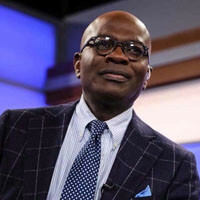 To find out more about Armstrong Williams and read features by other Creators Syndicate writers and cartoonists, visit the Creators Syndicate website at www.creators.com.